Washington, March 26 (IANS) As the US-based Boeing struggles with an ongoing crisis involving its best-selling jetliner 737 MAX, the company's European rival Airbus announced that it has reached a deal to sell 300 passenger jets to Chinese airlines. The agreement was signed during Chinese President Xi Jinping's visit to France, CNN quoted Airbus as saying in a statement on Monday. The European manufacturer did not specify the total value of the deal and has not revealed any further details. China was the first country to ground the 737 Max earlier this month following the March 10 crash of the Ethiopian Airlines flight that killed all 189 people on board. The 737 Max competes directly with Airbus' A320neo, CNN reported. The two single-aisle aircraft, which fly short- and medium-haul routes, have each amassed thousands of orders from carriers around the globe. 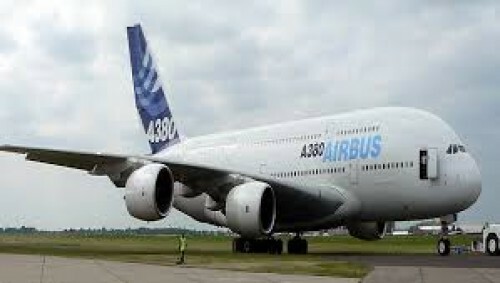 Airbus' huge order from China is similar to one announced by Boeing less than two years ago.